I came to this doctor on a whim because I have had shortness of breath for over two weeks so Iwas quite worried and knew something was wrong. It was very disappointing when the doctor told me nothing was wrong with me then gave me an image order for another doctor a 5 minute drive away. She was no help to me and simply "passed me on" to a different doctor where I would have to file as a completely new patient. I've been looking for a good primary doctor but unfortunately will not be going to this one again. Also, their systems were not matched up with Zoc Doc even though all their information is up on Zoc Doc so make sure to call and confirm any appointments you make on here. I came to this doctor on a whim because I have had shortness of breath for over two weeks so I was quite worried and knew something was wrong. It wasvery disappointing when the doctor told me nothing was wrong with me then gave me an image order for another doctor a 5 minute drive away. She was no help to me and simply "passed me on" to a different doctor where I would have to file as a completely new patient. I've been looking for a good primary doctor but unfortunately will not be going to this one again. Also, their systems were not matched up with Zoc Doc even though all their information is up on Zoc Doc so make sure to call and confirm any appointments you make on here. Another great visit. Appreciate the care and attention given to my medical concerns. I had a great experience. Staff members are professional and friendly. Good bedside manner is important to me and the staff in this office checked that box. Dr. Rao is great! Friendly and thorough. The nurses and assistants are all friendly as well. Highly recommend! I am always thrilled with the treatment I receive at Dr. Rao’s office. Today was the first time I saw Rena and give her 5 stars. Like Dr. Rao and Surin, she takes time to get to know her patients andis really caring and knowledgeable. Thanks to the awesome staff at Prima Medicine, I never dread going to the doctor for routine visits anymore! 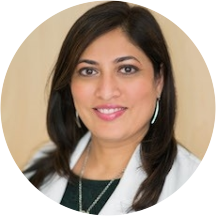 Dr. Rao is very personable and takes her time - did not seem rushed to move onto the next patient. Support staff is also very nice and efficient. We've recently shifted to Northern Virginia and were looking for a PCP for both of us.. After quite bit of search online, we decided to visit Dr. Rao.. And we must say, it was really a good decision.. She is agreat doctor who listened very carefully all the issues and concerns we had and prescribed the correct measures to get us cured. She was very patient, detail oriented and spent some good amount of time with both of us to address our health issues. We got our next appointment scheduled within a month and we're really thankful to have found Dr. Rao.. Thank You! She was terrible! She wanted me to change my specialists and go to her friends. I like the doctors I go to now. She saw I was very, very sick and needed a good doctor. Yesterday she told her nurse practitionerthat I should look for another doctor if I don't change my specialists. I am still in shock. I've never been fired from a doctor's office before. Beware of this one, not good! I signed up to see the doctor but was seen by a Nurse Practitioner without explanation. She seemed reasonably competent but I never met the doctor. Visits are very fee heavy, just to be seen. Ridiculous. I cannot even be madat my insurance company for refusing to give the total that was asked for. Will not return. Not only is Dr. Rao totally on it, so is her entire staff. I think it's rare to find a good physician who listens who also has a high performing team around them. This was just a really efficient visit, andDr. Rao still had time to answer questions and give some good advice during the visit. Moreover, I was able to get a flu shot added on really easily. They have great hours if I do get sick during flu season, though! I needed a referral that Dr. Rao sent through so quickly that the referring physician's office called me to schedule the appointment before I even got home. Wonderful first visit w/ Dr. Rao, my new primary care provider. Her entire staff are courteous and efficient. Her facilities are clean and have the latest technology. She herself is easy to talk with, explains procedures clearly, and comesacross as a caring, empathetic, and highly competent doctor. I am very impressed and happy to have found her practice. Dr. Chethana is very professional, and so is her staff. They are all very polite, and spot on time every single time. The Dr. does a good job following up with me, and makes sure I have all the time Ineed to ask any questions or express any concerns. I highly recommend her. Dr Rao and all her staff were very professional. I'm also bringing in my wife for a check-up with Dr Rao and we'll keep her as our primary physician! Shes a wonderful physician that made me feel at ease. Dr. Rao was extremely easy to talk to, seems like she genuinely cares, and was a great listener. She was kind and the staff their was great! She was very knowledgable and took time to explain things. I did not feel rushed or like I was just a number. I was very pleased with the attention and care I received. I was seen at the Loudoun Office and everyone there was extremely professional and pleasant. I would certainly recommend them. I felt that they were very thorough and seemed truly interested in me as a patient. Excellent and professional attention. All the staff is outstanding, they are willing to answer all questions and help. Dr. Rao was very professional and courteous. My only issue is that I was called into the patient room before I could even finish filling up my paperwork. The doctor was really patient with me, and took the time to make sure that I fully understand my symptoms. The whole experience was really pleasant. The entire team was also very professional. Dr.Rao and her staff was excellent! Dr.Rao was very thorough with my exam and everyone there was polite and courteous. Best doctor I've went to in years. This review is based off of my first visit. As far as I could tell, it went well and everyone was friendly enough. Dr. Rao seemed knowledgeable and was willing to hear any of my issues. She quickly and expertly addressed them. I was pleased of the efficiency, short wait time and accuracy of my treatment. Dr. Rao was able to diagnose me right away and had me out of the office in less than 30 minutes. I did not feel rushed butthe short wait time was ideal since I needed to get to work quickly.I also was able to get an appointment rapidly with zoc doc. I will definitely be going back! Dr. Rao is excellent. She is personal and very thorough. I appreciate the time she took to discuss my health and provide relevant information and recommendations. I highly recommend her! I really liked Dr Chethana Rao, very nice person , very good listener. I will keep her as my primary doctor. Super! I had a great experience with the entire office. Everyone was very personable, friendly, and patient. Highly recommend. I really enjoyed my consultation with her. She was congenial, engaged and quick to be concerned. She allowed me to fully explain my circumstances and began formulating a plan of action. I trust that as we move forward, I am in very capable hands. Great experience! I love that they are with the technology times--their system updates my personal client portal with my information. The staff was super sweet and Dr. Rao was very attentive and helpful. She addressed all my concerns, suggestedand demonstrated exercises for my knee pain, and helped me understand some nutrition concerns I had. I appreciated her patience with me when I disclosed I do not do well with needles and she stood by me talking to me to help me through it! Overall I am more than satisfied! I definitely recommend her! First office I've seen that goes above and beyond. Dr. Rao is so nice to work with. She listens, clearly cares about her patients, and is open to different approaches; I'm so thankful to have found her! I would also add that the staff are friendly & helpful and thatthe office is clean. No issues on parking or garages to hassle with either, which is a huge plus in this area! Excellent visit. I was taken in by the nurse immediately and Dr. Rao came into the room shortly after the nurse was done. She listened to my problems and carefully examined my issues. I didn't feel rushed or that my symptoms were ignored.